Exclusive: Parents are among the worst offenders for consuming their recommended daily intake of fruit and vegetables and consuming junk food which has experts worried about what it means for the health of our kids. This comes as News Corp Australia can reveal 93 per cent of Australian adults are not meeting their recommended daily intake of fruit and vegetables which could be putting them at risk of reduced life expectancy. Experts say Australians are failing on our diets and we all need a wake up call to do better. They say the spotlight on parents' poor eating may give one reason for why one in four Aussie kids are overweight or obese due to not having healthy food choices modelled to them. News Corp Australia can exclusively reveal the findings of our Eat Real survey of 22,000 Australians that gives a stark picture into the nation's eating habits. The survey, part of the new Eat Real campaign by Taste.com.au shows that while many of us think that we're healthy, the hard facts of our daily diet tell a different story. Only 41 per cent of 35-44 year-olds are meeting their Recommended Daily Intake of fruit with a dismal eight per cent meeting vegetable RDIs. And overall only 7 per cent of Australians are eating their RDI of fruit and vegetables combined. But the good news is that for those who do eat vegetables, they're consuming more leafy greens with 94 per cent saying they ate spinach, rocket, kale and/or lettuce one or more times in a three-day period compared to 87 per cent in 2015. A total of 30 per cent of us consume three or more serves of protein in a typical day (up from 18 per cent in 2015 on the back of low-carb, high protein diets) but dairy and wholegrain intake is still falling short of what nutritionists say we need daily. More of us are still skipping breakfast with 16 per cent saying they currently don't have a meal to start the day, up from 12 per cent in 2015. Consumption of caffeinated hot tea or coffee in a typical three day period has also jumped from 77 per cent in 2015 to 83 per cent in 2018 as our addiction to the black beverage grows. Discretionary foods such as cookies, cakes, lollies and soft drink has also risen - matching the increase in our waistlines. 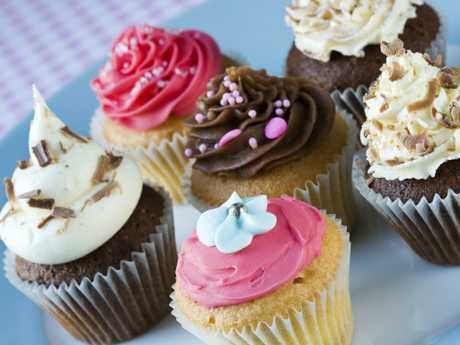 A total of 46 per cent of us are eating sweet biscuits every three days compared to 39 per cent in 2015, cakes and muffins are up 6 per cent to 36 per cent, lollies and chocolates up 5 per cent to 66 per cent and soft drink consumption up 3 per cent. One in five Australians said they consumed fast food like McDonalds or KFC every three days. Parents with kids under the age of 18 are also on average 8 per cent more likely to consume junk food over a three-day period than those without children. Director of dietetics at Monash University Helen Truby said Australians had good eating intentions but in our fast-paced lives often didn't realise exactly what they were consuming. "I think that we are easily overwhelmed by the amount of foods that aren't the best choices for us. It is incredibly easy to go for coffee and have a muffin or biscuit because it is right in front of us," Professor Truby said. "I think in terms of our diet Australians could do better. When reports like this come out it is easy to think that it is about someone else and not you. "Australians should use this as an opportunity to really examine their own diet and maybe even start a food diary for a week to see where things can improve." Paediatric dietitian and founder of Child Nutrition Miriam Raleigh said it was worrying that the 35-44-year-old age bracket was the worst at eating fruit and vegetables because many in that age group were parents of young children. "If parents are on the run eating poorly or skipping meals or ordering a lot of takeaway children do notice. They are very aware of what is happening," Ms Raleigh said. "Unfortunately for parents there is so much misinformation and noise online and on social media about what they should be feeding their children and themselves. It does become confusing about what is right and wrong." Former MasterChef contestant and healthy food advocate Alice Zaslavsky said Australia should look to follow other countries that have recently simplified the food guidelines to support more healthy food choices and moderation. "We should be promoting enjoyability of food rather than pushing that 'deaducation' of doom and gloom if you don't get exactly the recommended daily intake of a certain food group," Ms Zaslavsky said. "In Canada they've just recently changed their guidelines to focus on three key points; eat more whole foods, prioritise water above other beverages and cook more at home. 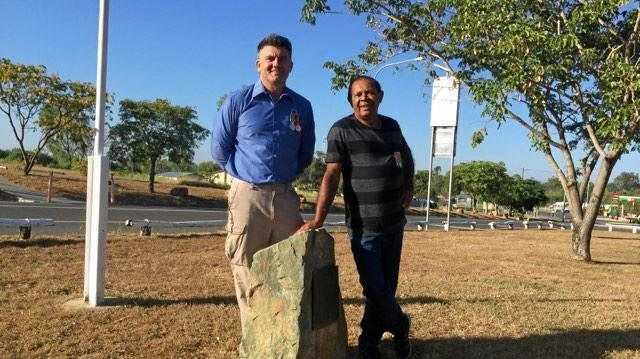 Maybe it's time for Australia to simplify their guidelines as well." 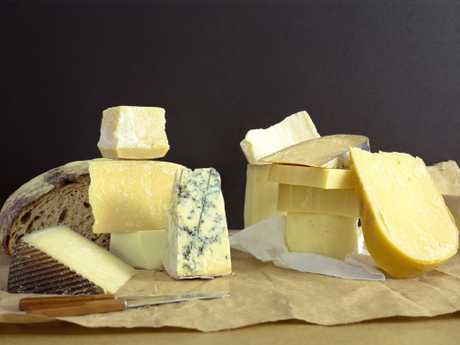 It's time to start eating more cheese and bread. That's what the Vice President of the Royal Australian College of General Practitioners Ayman Shenouda has said in response to News Corp's Eat Real survey of more than 22,000 Australians. "We know that eating high dairy products is good for your bones and eating more wholegrains are good for overall health," Dr Shenouda said. "Absolutely it's time to start eating more cheese and bread." - Protein consumption is up on the back of diets like paleo and veganism. A total of 30 per cent of Australians are consuming three or more serves of protein a day compared to 18 per cent in 2015. 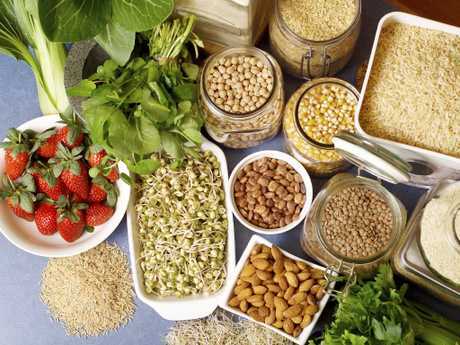 - The types of protein that have grown in popularity since 2015 were fish and other seafood, nuts and seeds, eggs, tofu and tempeh and legumes. - Green (broccoli, spinach, beans) and red vegetable (capsicum, red cabbage, tomato) consumption is up for those of us that are eating their vegetables. Dr Shenouda said people were simply not paying enough attention to what they were eating. "We know that sugar, salt and fat are the tastiest things for many people," he said. "Australians are not getting into the details of what they're eating. We know that moderation and balance is the most important thing and I encourage everyone to talk with their GP about getting a balanced, healthy diet that is sustainable in the long term." As Australia's obesity rates have reached epidemic proportions, so too has the glut of misinformation about what it means to follow a healthy diet. As a Sky News presenter and mother of two, Jaynie Seal is exposed to her fair share of health news bulletins. "There's always a new diet, a new ingredient you should be eating, a new health bar. It can be quite overwhelming at times," she said. "To some extent, I think we've overcomplicated the issue. For many of us, I think we just need to get back to basics and the idea of food as fuel and a source of nutrients to keep us going." Last year saw the rise of the Keto diet, the demise of paleo, and an ongoing battle between low carb and low fat regimes. "While Keto might work well for one person, it also has the potential to be harmful for another. The problem with these prescriptive diets is that they can be quite generalised and we're all so different," said Ms Seal, who anchors Sky's Headline News on WIN and Sky News Weather. Busting food and diet myths has become a big part of the job for dietitian Anna Debenham of The Biting Truth, particularly with the rise of social media. "There's so much noise and nonsense about diets going around on social media, fear mongering about carbs, celebrity diets and photos of girls in bikinis promoting really restrictive diets that aren't evidence-based," Ms Debenham said. "If a diet tells you to cut something out entirely, that should be a red flag." "Nutritional messaging has barely changed over the last couple of decades," Ms Debenham said, adding that a healthy diet simply comes down to eating more vegetables and whole foods." For Jaynie, a fridge stocked with fresh produce is how she combats unhealthy temptations. "When you're busy and tired, all your good habits can fly out the window, but if I have healthy ingredients at hand, I'll go there before I ring Uber Eats," she said. She also makes time every evening to prepare a container of chopped vegetables, eggs and nuts to graze on at work. "That keeps me going all day - I'm more likely to go for unhealthy foods when I don't come prepared," she said. Cutting through the confusion and guilt around food - and helping people fall in love with what's on their plate - is the mission of Taste.com.au's Eat Real campaign. Its new Eat Real Unwrapped podcasts are climbing the carts and its support group is booming as people look for help through all the conflicting advice. For those, plus recipes and menu plans (including the budget-conscious Eat Real 14-day challenge) and more, go to taste.com.au/eatreal. 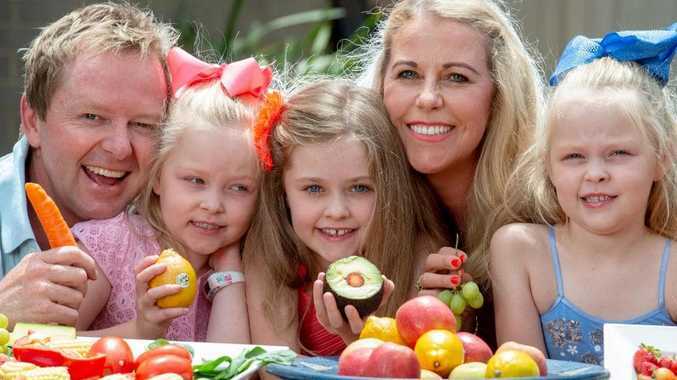 A 14-day food challenge is encouraging families across the country to take the first step towards healthy eating. Working mum Fiona Annett from Mulgrave has chosen to take part in the Eat Real project; and hopes it will mean she no longer has to make different meals for her picky eaters. "Our three kids whinge and complain just about anything," she said. "I would like to serve a meal we can all eat - healthy recipes and a meal plan is the best way to solve this." "We're all excited but anxious. My husband and I reminded our kids it's a game. Hopefully they'll play along." Fiona said temptations and time pressures have made it difficult for her family to adopt healthy eating habits. "My kids are fond of the golden arches," she said. "It's been an easy go-to when you're in a rush but we're ready to move away from that." Her girls - Sophie, eight, and twins Jessie and Tilly, six - are more likely to try, and like foods if they've had a hand in making them. "I always try to involve my kids with preparing dinner because they're not going to put something in there they don't like," she said. "They love a delicious vegetable snack - specifically carrots and cucumbers, or as we call them, moons and carrots." Like most parents, Fiona is well prepared for the challenges ahead. "There will be tantrums, but I'm sticking to my guns," she declared. "It's all part of the game and there's a prize - a lifetime of healthy habits." 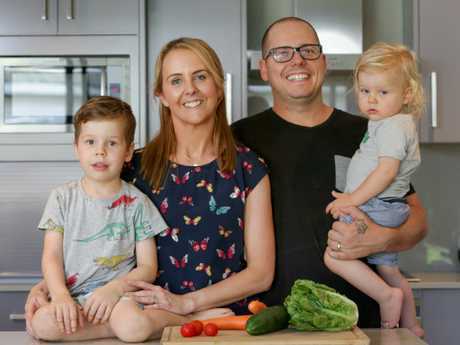 Like many parents, Alana and Adam Stenlake want to instil healthy eating habits in their children but, between working full-time and raising two young boys, inspiration and enthusiasm are often lacking. "My husband and I eat the same salads every night, while the kids end up eating a lot of pasta," Alana said. 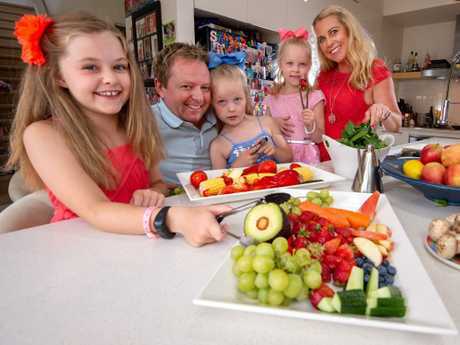 The Five Dock family wants a mealtime reboot, having signed up for the Taste.com.au Eat Real Challenge. Based on a family-friendly 14-day meal plan, the challenge offers quick and easy recipes with an emphasis on unprocessed ingredients, vegetables and whole foods. Alana spends several hours on a Sunday prepping the week's meals and is excited by the prospect of trying something new. "Healthy eating is a daily challenge for us - particularly with a four-year-old who just wants to eat toast for dinner," she said. Her own downfall is snacking. "If I haven't taken healthy snacks to work, I just grab whatever comes to hand quickly - usually something full of sugar like a muffin," she said. "I'm thinking that two solid weeks of healthy eating will give me more energy and improve my gut health." Alana hopes children Miles, four, and Maxwell, 18 months, will be more willing to try new foods if they are involved in preparing the Eat Real meals.